will be this Wednesday, December 5th. We also say how special each episode is. But this episode will be so damned special (pardon my veal francese), we’re gonna blow it up to two hours. 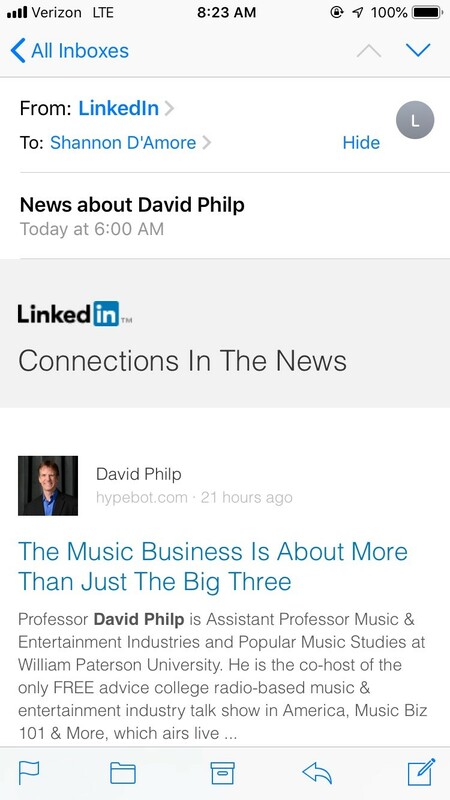 Guest #1 is a-gonna be Bill Charlap. You know Bill? He was on the show once, way back in prehistoric 2016. I think he may have been off of Grammy win #1 for his album with Tony Bennett called The Silver Lining – The Songs of Jerome Kern. Hour #2 will be completely different. At the time of this typing, we’re waiting on confirmation from our second guest, who will talk about some cool things that we can’t discuss because, if the person can’t do it, we might get someone else who is boring. We’ll keep you updated. Our Wednesday, 3:30 PM email will give you all the dirty details done dirt cheap. Stream the shows live on Wednesday HERE! Now keep scrolling down. You’ll be glad you read the stuff coming at ya! Managing Your Band – 6th Edition is out! 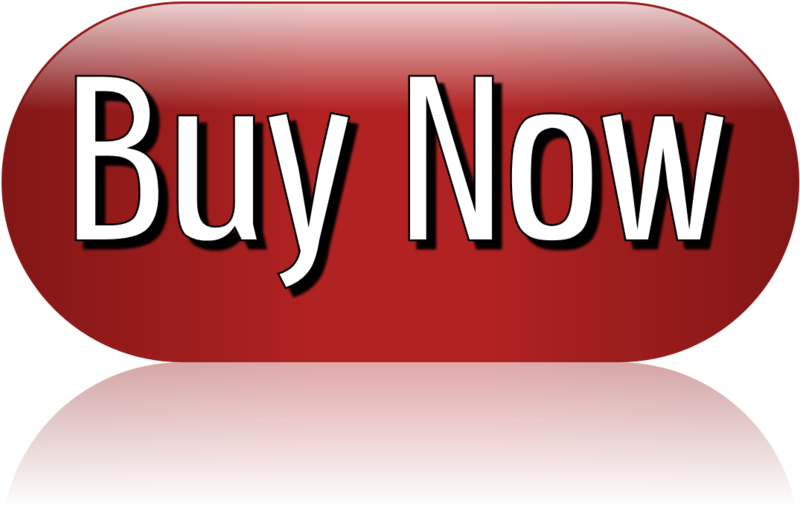 Did you buy it?!? 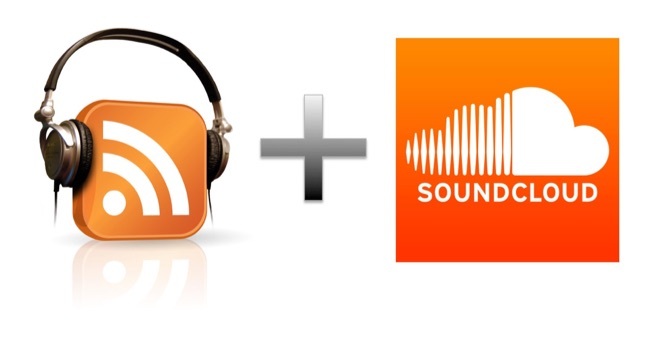 Music Biz 101 & More Radio Shows: Here’s Who’s Coming Up Soon! Great guests are coming over the next few months to your Music Biz 101 & More radio show. 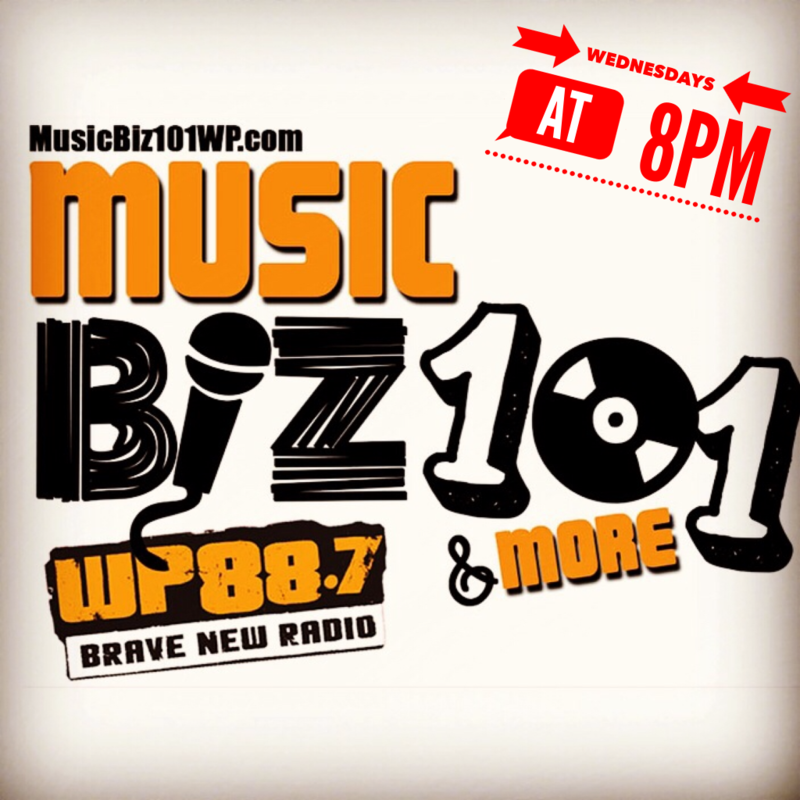 Tune in at 8 PM each Wednesday for some great, FREE music biz talk. No long reads this week from us. Instead, here are some links worth clicking on to give you updates on the biz. A Visit To WMG And Some Valuable Lessons There’s no link to the headline above. Instead, look at the pic of a wrinkled piece of paper. 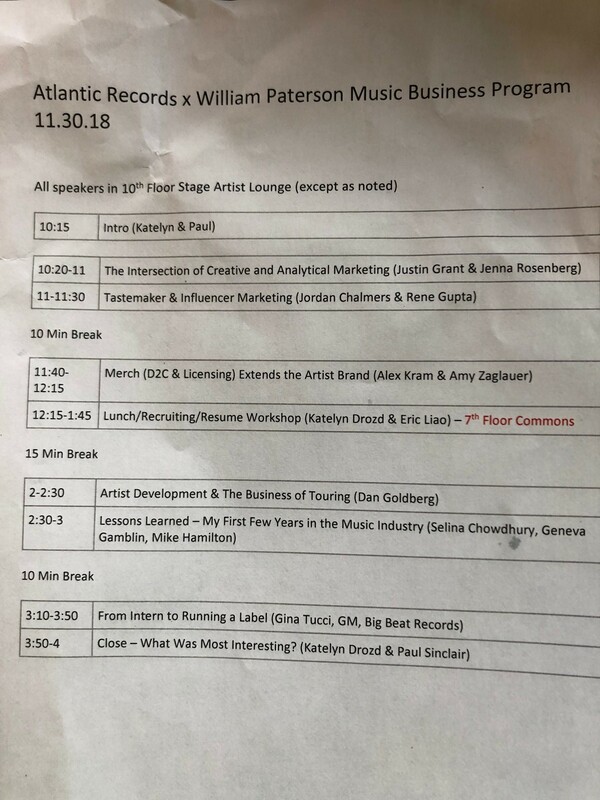 That’s the agenda Atlantic’s Paul Sinclair curated for a visit to the Warner Music Group by William Paterson, the University, last Friday. This was the 4th year we’ve taken students up to WMG. I looked at 41 pages of notes I’ve taken and, whoo – I could publish a book of great stuff. What are the main highlights from this year’s visit, condensed into a handful of bullet points? Marketing is a living, breathing part of any release and artist. Anything living and breathing needs air and food and water and love (Maslow’s Hierarchy of Needs). Marketing ideas change daily, strategies are different for every artist based upon distinct fan bases. What works for Wiz Khalifa wouldn’t necessarily work for Bruno Mars. That said, every piece of marketing Atlantic tries includes some sort of Influencer Marketing. But “influencers” don’t necessarily have to be Kardashian-types with 30 million Instagram followers. Maybe an artist’s core audience also follows a coffee blog with a smaller, but loyal following. That coffee influencer might provide even more engagement to a better targeted audience than that large scale, mass influencer. It all depends upon each artist. Influencer marketing doesn’t necessarily provide an ROI (return on investment) that can be tracked. Trends can be seen and data provided. But it’s still in the earlier stages of becoming as commonplace as TV advertising. Passion. Tenacity. Passion. While these are really two things, you need an incredible amount of passion to overcome the roadblocks that will come your way. There will be disappointment. There may be tears. But there is opportunity if you really want to find your place in the music industry. Opportunity will find you the more passion and tenacity you show to the world. If you look at the names of who spoke to us, you may not know them. But all of these people were asked to speak because of their stories and their passion and their knowledge. You could hear in their voices how they felt about music. And you could sense how committed they were to making their artists get to where they needed to go. You too can be one of these speakers in the future. If you push yourself. If you keep learning. If you believe in yourself. If you immerse yourself into music, into the culture, into the business side, you can make it in the business. That’s what our students hopefully took from this day. These students (and you, reading this) can hopefully find inspiration each day to find what it is that you want to do. Just know that certain days are awful. Or certain weeks or months. But if you don’t give up, you will get over those periods and land where you want to be. Big thanks to Hypebot for reprinting our article? And guess what, big thanks to Nick Boney, Communications Coordinator at Concord Music. Nick wrote me on Friday and said that the company has a new logo and got rid of the word “Group” at the end of their name not so long ago. He asked me to change both in the original article, which I did. Click and read. I bet she didn’t stream $266.1 million of tracks. And this is just ticket sales. We aren’t talking merch. Remember where the money is. The Album Is In Deep Trouble. And The Music Biz Can’t Save It. In case you didn’t know it, Asbury Park has gone through a massive resurgence, not just as a town but as a music mecca. Is Asbury an east coast version of Seattle, circa 1988? Even if you don’t want to be a manager, this is cool to read. Billboard Magazine officially announced its top 2018 music business programs on June 27th, and William Paterson’s undergraduate and MBA Music & Entertainment Industries programs received this national recognition. Read the full article HERE. “There is no doubt in my mind that William Paterson University does an amazing job preparing students for the future,” says RCA Records co-president Joe Riccitelli, an alumnus of the school. 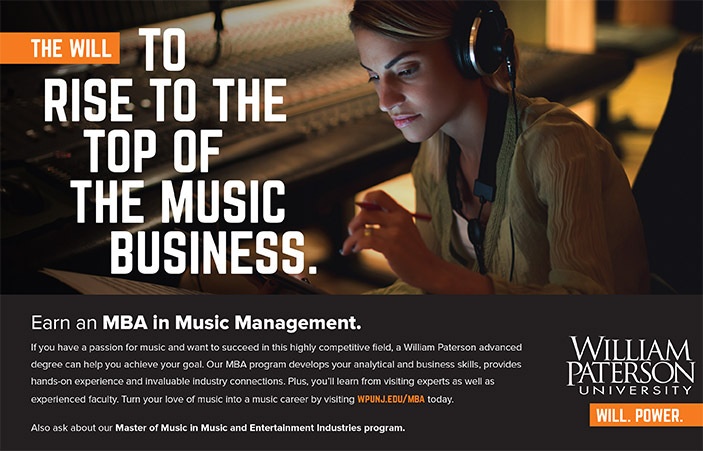 “Their courses are relevant and competitive in today’s music business.” WPU’s music and entertainment industries program is now complemented by an MBA in music and entertainment management. The school produces the Music Biz 101 & More radio show and podcast, whose recent guests have included Scooter Braun and Florida Georgia Line manager Seth England. Faculty: The school, 20 miles west of Manhattan, has visiting music/entertainment industry experts who lecture undergraduate and MBA students. Along with Riccitelli, recent participating executives have included Atlantic Records executive vp promotion John Boulos, Warner Music’s Matt Young and Dan Goldberg, and Atlantic head of digital strategy, marketing and e-commerce Paul Sinclair. 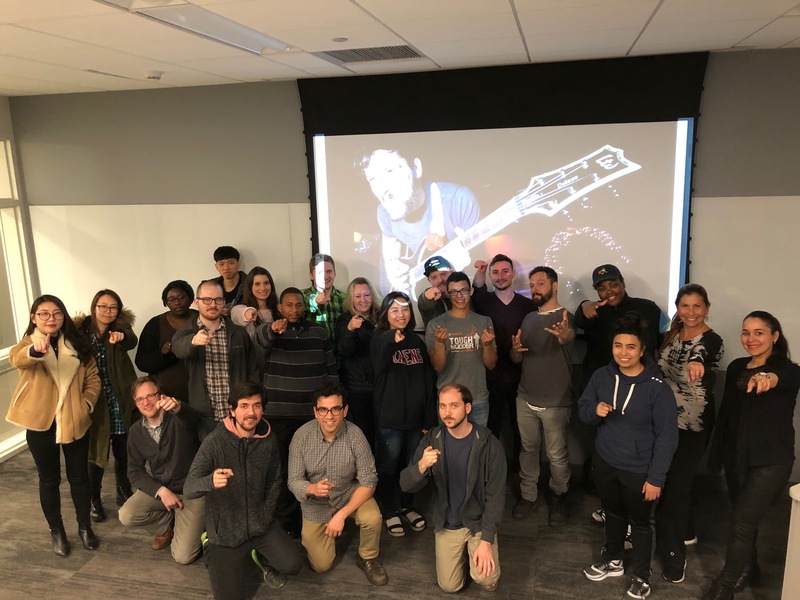 For full details about the Music & Entertainment Industries Program, including courses, the minor, and our MBA, click HERE. For full details about the WPU Pop Music Studies Program, including courses and audition requirements, click HERE. NEXT POST Next post: Who Are The Highest-Paid Radio Hosts?